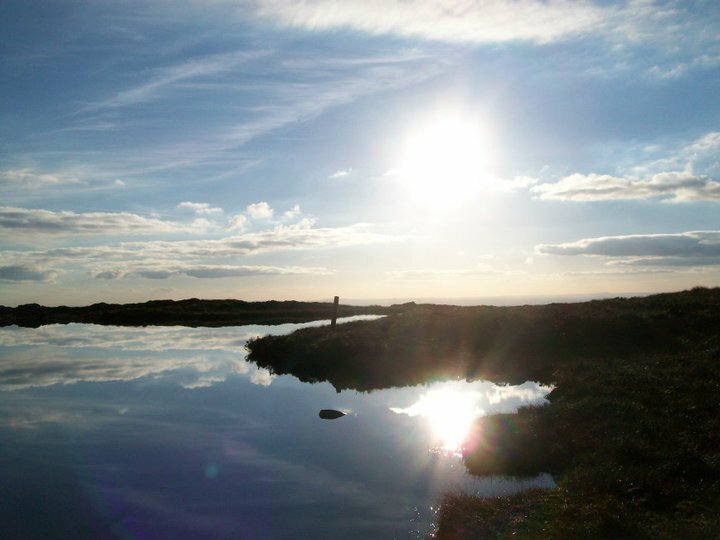 The lough on the summit plateau, named after Cailleach Beara is where Fionna Mac Cumhaill got his grey hair (and legend has it that anyone who bathes in it to this day will suffer the same fate! 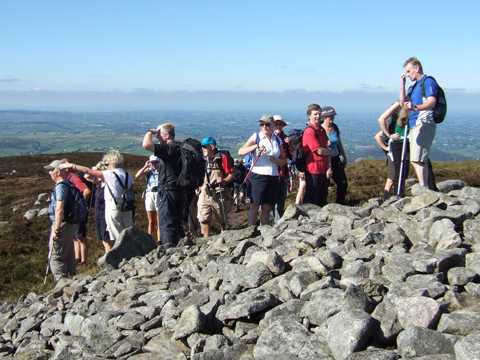 ), Ti Chulainn, where Setanta became Cuchulainn is said to have been situated on the Mullaghbawn side of the mountain. The summit has two cairns, the collapsed one at the northern end and the Armagh county highpoint on the southern end of the plateau. This passage tomb is still intact and the entrance is faced towards the rising sun on the morning of the winter solstice. The courtyard at the foot of the forest drive has a coffee shop, gardens, carpark, large playground & other facilities. At J043197 A the tourist route can be started here, following the tarmac drive up to the top carpark. Or, drive up to the carpark at J018201 B and take the path which leads to the summit. Not a route for the purists! 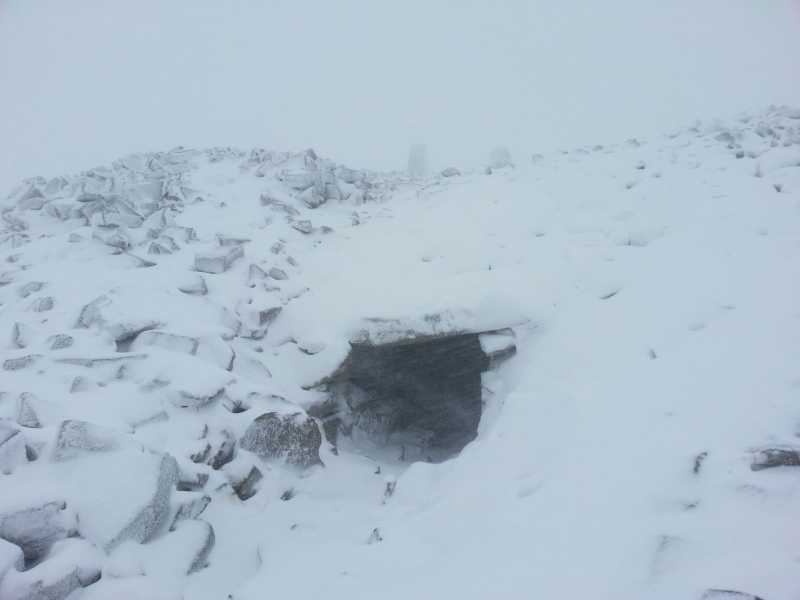 The classic route is from the north, starting from the gate at J026230 C. It goes over open mountainside, follows tracks and is waymarked by metal arrows to the northern cairn, across the plateau, passing the lough to the summit cairn. My local mountain, I've lived all my life barely a mile from its base and it's summit has always been my favorite place on earth. Since I've been registered with Mountainviews I've climbed Binnian and Bearnagh which I found to be awesome, but they don't compare in my eyes to Gullion and its magnificent sence of solitude and remoteness. Unfortunately however I feel I have to warn fellows walkers on this board of recent problems with this area. For years I parked my car either in the Slieve Gullion Court Yard or the Mountain Drive car park which provides quick access to the summit. A fortnight ago my car was broken into along with a second and both had items of value stolen from them. In this age of Mobile phones the Mountain drive provides gangs with the perfect opportunity too watch you arrive from a safe distance while their friends remain in the lower car park warning them of other cars on the approach, giving them enough time to watch you leave your vehicle and go up the mountain, break in and escape along the mountain drive to safety. This applies somewhat to the Ballintemple viewpoint carpark on the northern end of the mountain also, but here it proves more difficult for the thief because they don't have the security of the one way traffic system through the mountain drive. I will not let this experience prevent me from enjoying this magnificent mountain, but in future will always be dropped off and picked up again at given points. Picture from Bleck Cra : LOOK EVERYONE! MORE STONES! Picture: LOOK EVERYONE! MORE STONES!